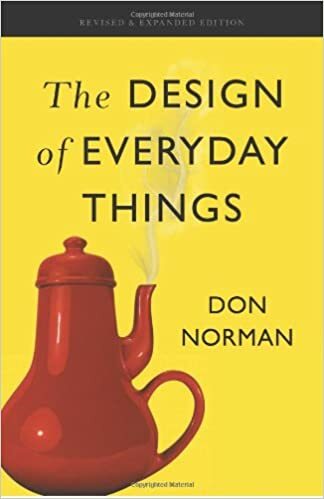 In the current chapter of my ongoing obsession with my public library, I recently picked up a copy of Don Norman's Design of Everyday Things. I haven't been keeping up on the 'classics' of my profession, and felt I had a bit of catching up to do in the literary world of design. And so I am actually really enjoying it. I used to find design essays and theories quite dry, but now that I am out of school and reading them independently, I find I have a new passion for this sort of thing. Norman's ideas and thoughts about the usability that we seek (and so rarely find) in everyday objects strikes quite true with me. Just take the cover for example: an incredibly odd sort of teapot, such that when you think about using it, you realize that the tea would probably pour all over the dang place, give you some very nasty burns, or both. 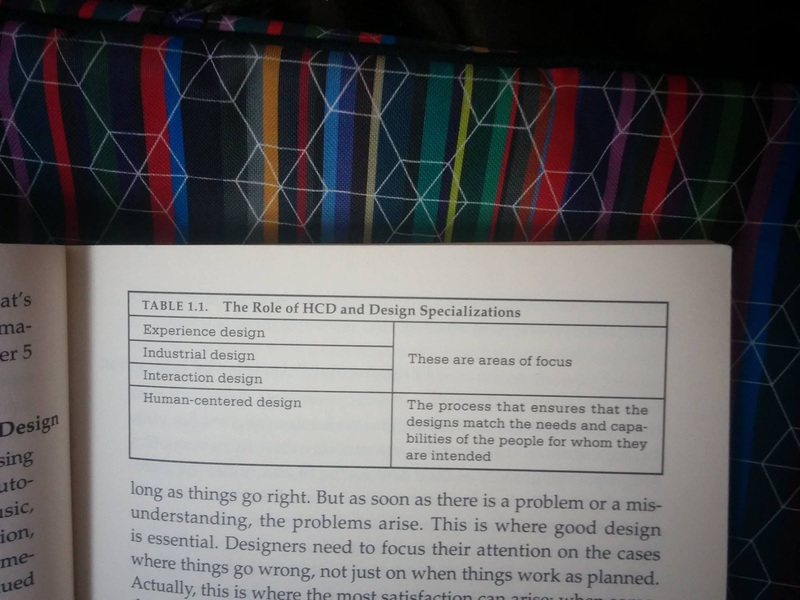 While the book itself has some wonderful things to impart about user experience design (that I am lapping up like tea), I find that the experience of reading this book is in itself quite lacking. How ironic. 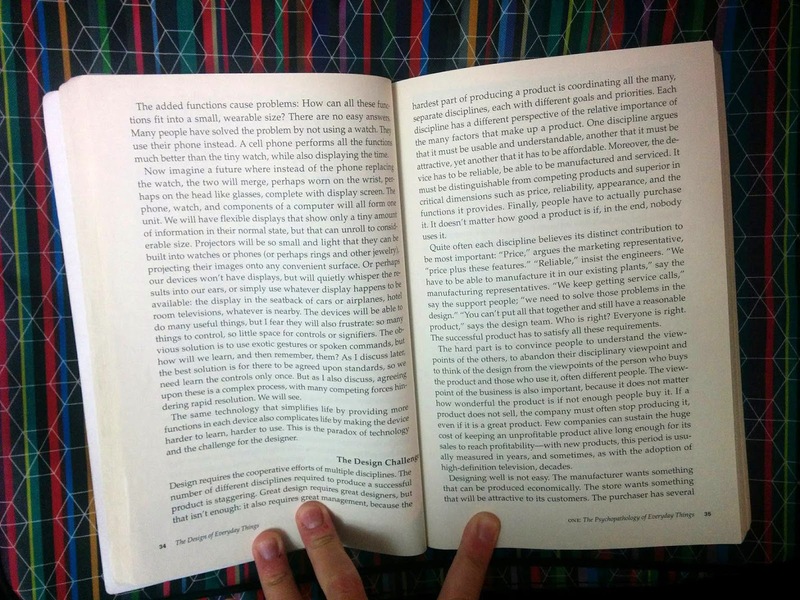 1) The pages are printed on an angle. Honestly. In this day and age, we can't seem to print lines of text straight against the spine? This is really shameful. It surprised me so much that I actually came to the desperate point of wondering whether this was done on purpose, since we often hold books in a way that curves the pages. So perhaps this was done to correct the lines to an optically 'straight' position. But as I read further on, I talked myself out of such nonsense. It's truly testing my patience. The diagrams and images often do not live on the same pages as the text in which they are referred. 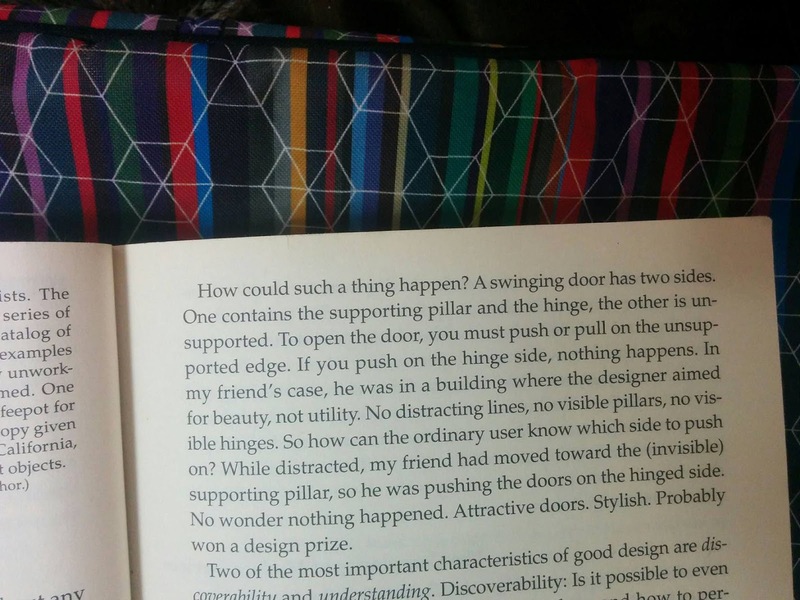 This is an obvious flaw in book typesetting, and drives me up the wall. When reading about a figure, I am either left in the dark until I turn the page (three paragraphs later), or have already forgotten the diagram on the page beforehand by the time I reach the text (yes, it goes both ways). I always appreciate a typographic rule breaker, but this is just insane. If subheads are not going to be aligned left like the rest of the text (and in the fashion upon which the entire world has silently agreed), they should at least be stuck out on the edge of the paper, where our eye is more likely to catch them. I understand what's trying to be done here, and I can even appreciate it to some extent, but it's truly maddening to have to crack the spine simply to read a subheading. Inner gutters are there for a reason, and the reason is displayed here. What a pity. 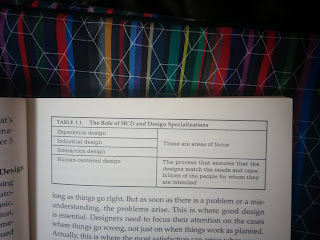 One thing this process has taught me is that even small flaws in design can lead to a terrible experience that may not be saved by wonderful content (I am slugging through the book in spite of all this of course). I wonder if Don Norman knows about these issues. It would certainly be interesting to gauge his reaction. Hi Chloe, my guess is that the book was typeset purposely to get this reaction from you. 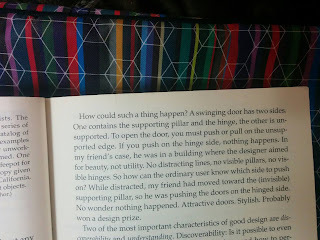 A book is an everyday object and it is designed. When all books are designed like this, we don't notice its strategies. Don Norman would know of these issues and his reaction is probably a sneaky little smirk. On other other hand, I have no idea if authors are given that kind of control over the way their books are published.